Our program, curriculum and environment are enriched by our amazing teachers. The low student to teacher ratios contribute to the quality of the program and the happiness of the staff. Staff build long-term relationships with the children, and add to the richness of the child’s experience. Rachael was employed as a teacher at The BellaVita School for three years prior to deciding to purchase it from its original owner Kari Ditta in 2006. It was during that time she fell in love with teaching children. As director of BellaVita her love for children has deepened, as well as her commitment to provide the highest quality care possible. She received her B. A. in Communication from the University of Massachusetts, and has constantly furthered her knowledge of Early Childhood Education through college courses and workshops. She received her M.A. 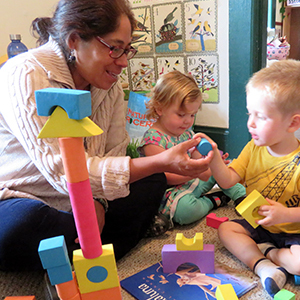 in Early childhood Education at the University of Colorado in 2015. Rachael is also a dancer and enjoys teaching dance to the BellaVita children. 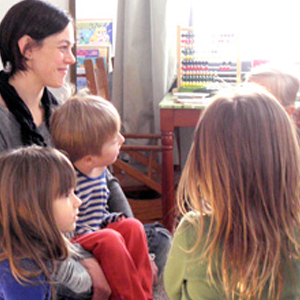 She recently developed a Reggio Emilia influenced curriculum that organically incorporates the Colorado State and Federal Academic Standards and well as the Colorado Early Learning and Development Guidelines . Rachael has owned BellaVita for over 11 years and been a teacher for over 14. Kelly joined the BellaVita community in 2009 as a parent when her youngest daughter who was then 4, enrolled into our program. 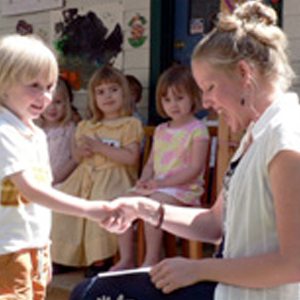 In April of 2010, she began working at BellaVita while continuing her education with a focus in Early Childhood. In May of 2013, she received her Associate of General Studies with an emphasis in Deaf Culture and American Sign Language, and her Early Childhood Director’s Certificate. Kelly has lived in Longmont for 10 years with her “sweetie,” two amazing daughters, and dog “Princess Leia.” Kelly is dedicated to identifying the individual needs of all children at BellaVita and is devoted to meeting those needs. Kelly believes that the development that takes place during early childhood is the most important and formative throughout a child’s life and that healthy social-emotional development is the foundation. She strives to teach and provide children with the tools and skills necessary for their future with a concentration on problem solving, conflict resolution, and self-regulation. Amy has always wanted to work with young children because she thinks they are the most imaginative, hilarious, sweet, and curious group of people on this planet. She believes that the human experience is all about learning, growing and treating fellow humans with kindness and compassion. Amy graduated from Metropolitan State University of Denver with a BA in Human Development and a minor in Early Childhood Education. 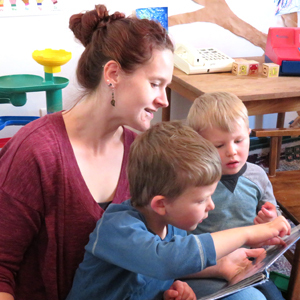 She has over ten years of experience working with children and loves being a teacher. Erica Lee is a certified Yoga Teacher, teaching here in Longmont, CO at Full Circle Studio. She is so passionate about the health promoting benefits of the yogic lifestyle that she decided to extend her qualifications into Ayurveda, a sister science to Yoga that incorporates diet, lifestyle, herbs, meditation and sense therapies to cultivate harmony in mind, body and spirit. As an Ayurvedic Health Educator, she empowers and supports clients on their journey of establishing or maintaining vitality, vigor and mental stamina. 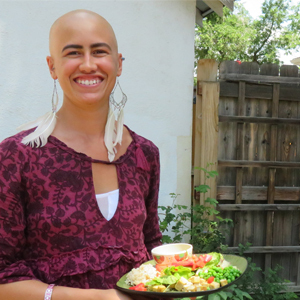 Food, being one of the primary medicines used in Ayurveda, enables Erica to spend quality time in her favorite room in the house, the kitchen. 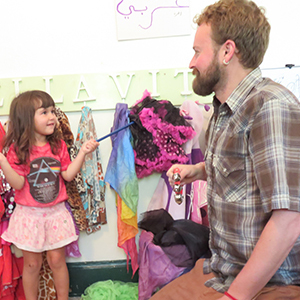 She is grateful to be able to share her gifts with the resilient, brilliant young children at Bella Vita. Victoria is the mother of two children, ages 7 and 5. She is currently pursuing a degree in Early Childhood Education, while also volunteering with her son’s kindergarten literacy program. She has worked with the Leadership St. Vrain group, collaborating with parents, teachers, and government officials on education policies in our local school district. Victoria finds a lot of joy in reading and creating with children, and can often be found sharing a story with her own children and those at BellaVita. At home, she keeps busy with her kids, teaching them to sew, doing a craft, or indulging in some vegan baking. She is so happy to be a part of the BellaVita program! Ms. Kena Guttridge is originally from Mexico City, and is a member of the Colorado Congress of Foreign Language Teachers. Ms. Guttridge believes that when we give someone the gift of learning a language, we are opening opportunities for understanding and respect of other cultures, and breaking barriers to give them the key of the door that will open to incredible journeys! This is what drives Ms. Guttridge's passion for teaching Spanish to students of all levels. 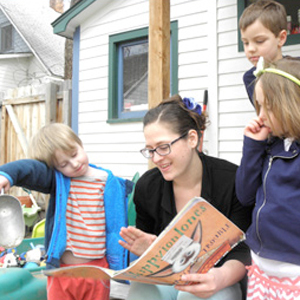 When Ms. Guttridge is not teaching, she can be found playing with her young children, swimming, dancing or working on her organic farm in Longmont, Ollin Farms. 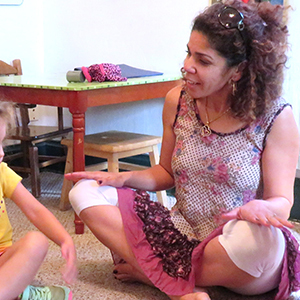 We’re glad to welcome Ms. Zahra Geiling as The Bella Vita School’s newest teacher! Ms. Zahra was born and raised in Morocco with French and Arabic as her primary languages, English came later as her third language. After studying French Literature in college, Zahra discovered her love for working with children at Ned Club Resort’s kid’s club. She worked with them for 5 years. In 2000 she found herself getting married and moving to the States. Since then she has worked with children, ages zero to six, and facilitated summer camps with youth aged pre-k to 12 years old. Some of her experience has been working with students who have special needs. Zahra is very close with her family and has a teenage son and a younger daughter. When she finds free time, she like to do yoga, dance and shop. Her work’s philosophy is “if you do what you love, you won’t work a day in your life.” This integrated attitude is just an extension of her generally easy going, social butterfly, loving, humorous personality. Mr. Alex grew up in Auburn, Massachusetts, not too far from where Ms. Rachael grew up! While in high school he was a member of Select Choir, Jazz Choir, and Jazz Band. During this time, he also started writing his own songs with friends and had several personal music projects going on. After high school, Mr. Alex attended Anna Maria College in Paxton, MA on full scholarship, where he studied music education. Shortly after college, Mr. Alex left Massachusetts in search of himself. Traveling through many states, his love for music and art grew exponentially. Then, because of his deep love for the ocean and adventures, in 2002, Mr. Alex joined the United States Coast Guard. He was stationed at the search and rescue unit in Juneau, AK. While serving as a Boatswain's Mate, he navigated and piloted the U.S.C.G. 47' surf boat. Mr. Alex had a band going even while in the Coast Guard, where he learned Bluegrass and Folk music and performed regularly. He was also a marching drummer for the Coast Guard. After his enlistment, he decided to come explore Colorado, and in doing so, he unexpectedly found a place that he loves calling home....Longmont. In addition to teaching music here at The Bella Vita School, he is the guitar player for a local band called "Selasee and the Fafa Family", and he continues to write and record his own songs as well. Mr. Alex truly feels blessed to have the privilege of sharing his love for music with your wonderful kiddos! Do Re Mi Fa So La Ti Do!! All photos were taken, selected and named by BellaVita students! Read more about our plans to move toward sustainability. A few years back, we built a giant garden capable of producing 5% of our food for the year! 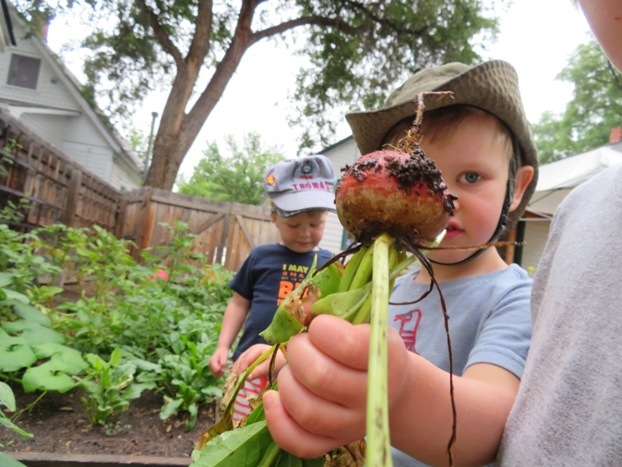 Our garden is a community project. Parents, kids, teachers, and friends have been working, learning and producing together. Growing our own produce is the way we see to have the biggest, most positive impact on our environment. We educate each other and our children about where our food comes from, how it grows, and how to take care of the earth. Providing your children with healthy nutritious meals and snacks is as always a priority.